Miraval guests come from all over the map. We know that flying can be stressful so we do our best to make sure that once you arrive at Miraval, your stay is stress-free and exceeds your expectations in every way imaginable. Miraval is pleased to provide complimentary transportation to and from the Tucson International Airport for your unforgettable Tucson getaway. To ensure timely service, we need transportation information no less than 72 hours prior to your schedule needs. Guests arriving at the resort after 9:00 pm will receive a late night snack in their room; the perfect start to a truly enchanting Arizona getaway. 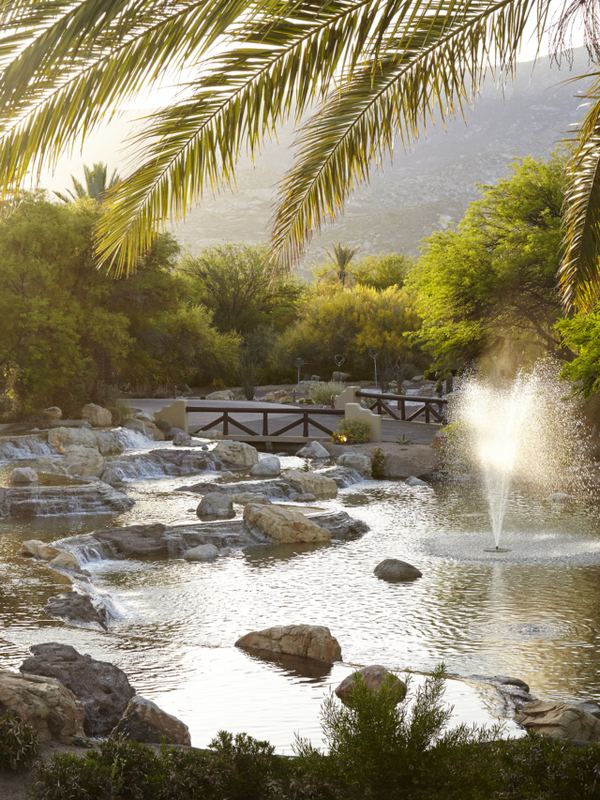 For departure from Miraval, the last complimentary shuttle to leave for the airport is at 2 pm. Please note that late check-out service may be subject to additional transportation fees to the airport if shuttle service is not currently scheduled. For our guests who are driving in, we offer complimentary valet parking for the duration of your stay with us. Exit the airport and travel straight to and from Tucson Boulevard. After 2.8 miles the road will curve to the left, at the stoplight intersection of Irvington Way and the road changes names to Benson Highway, but do not make any turns through this intersection. Travel approximately 2 more miles to the third stoplight and turn right onto Park Ave.
Stay in the right lane and take I-10 West which will veer to the right and circle around onto I-10. Travel approximately 16.8 miles and take the Twin Peaks road exit. Turn right onto Twin Peaks road. Travel approximately 4 miles to Tangerine Road and make a right turn on Tangerine. Travel approximately 8 miles to Oracle Road. Turn left on Oracle Road and continue traveling north approximately 4 miles. Turn right on Golder Ranch Drive and travel 1.2 miles. Turn left onto Lago Del Oro Drive and travel 2 miles. Turn right into the resort entrance (Entrance B). You will see a large rock at the front entrance with the resort logo. Pull up to the touchtone pad at the gate and press the Call key for assistance. A staff member will guide you from there. From the Phoenix Sky Harbor Airport Exit the airport following signs to I-10 East towards Tucson. Take Exit #240, which is Tangerine Road and turn left. (This is two-lane road). Travel east on Tangerine Road for approximately 10 miles until it ends at Oracle Road. Turn left onto Oracle Road and travel 3.8 miles. Turn right onto Golder Ranch Drive and travel 1.2 miles. Take Highway 60 East towards Apache Junction. Take Highway 79 South towards Oracle Junction. At Oracle Junction turn right onto Oracle Road. Turn left on Golder Ranch Drive and travel 1.2 miles.